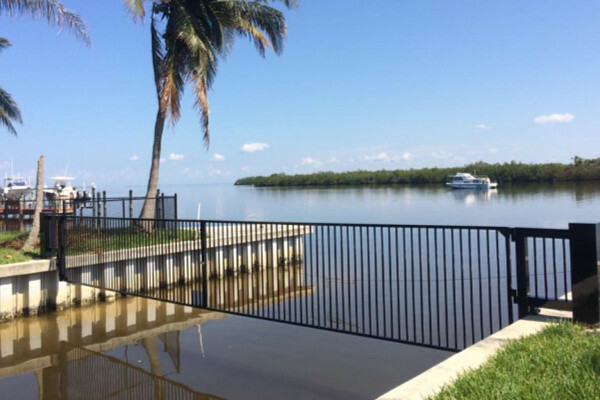 As one of the leading fence companies in Southwest Florida, Carter Fence Company always seeks to provide the most advanced products with the highest level of service at affordable prices. We offer a full range of quality materials and products to ensure that each customer can find exactly what they are searching for. Carter Fence Company offers the best fencing services for residential, commercial and industrial customers and has serviced the area for over 30 years. We are locally owned and operated, we offer a one-year warranty, and most of our manufacturing companies provide a lifetime warranty of their own. Carter Fence Company is a licensed, insured and bonded company, and when you contact us to design and install your custom fence, you can trust that you will be receiving services from our highly trained, professional installers who will keep you informed from the start to finish of every project. Whether you are looking to install a chain link, composite, pvc or aluminum fence, guardrails, security gates or more, our experts are here to help you. Improve the curb appeal of your home with custom residential fencing from Carter Fence Company. Carter Fence Company offers design and installation services for beautifully crafted fences for your home or property. From custom aluminum fencing with ornamental elements to long lasting, low maintenance PVC fencing, we have your solution to privacy, security, and peace of mind. 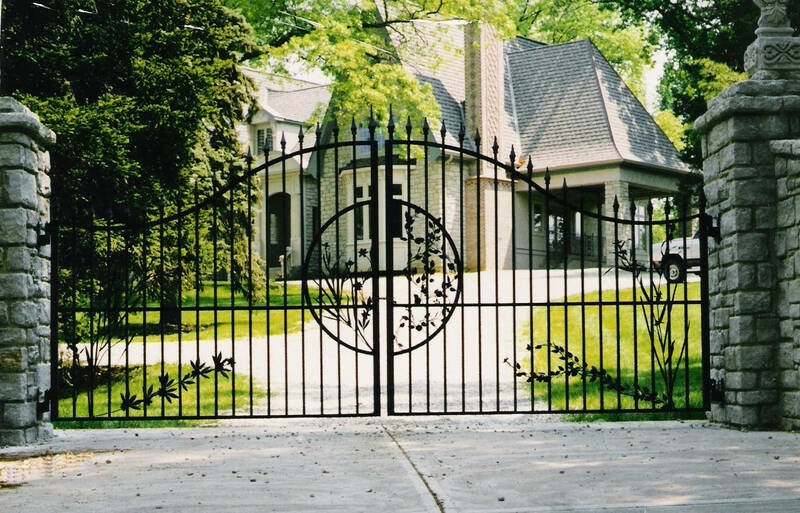 Residential security gates are a great way to add security, privacy and safety to your home while enhancing the visual appeal of your property. From telephone entry gate systems to keyless pad entry, the professionals at Carter Fence Company have you covered. Add value to your home while adding beauty to your home’s curb appeal with custom residential awnings from Carter Fence Company. Custom residential awnings offer your home many benefits such as protection from the sun’s harmful UV rays, lowering your home’s energy costs while increasing your outdoor living area. Whether you are looking to improve your security, increase the value of your property or enhance your company’s image, our team can fulfill all the commercial fence needs of your property or project, large or small. 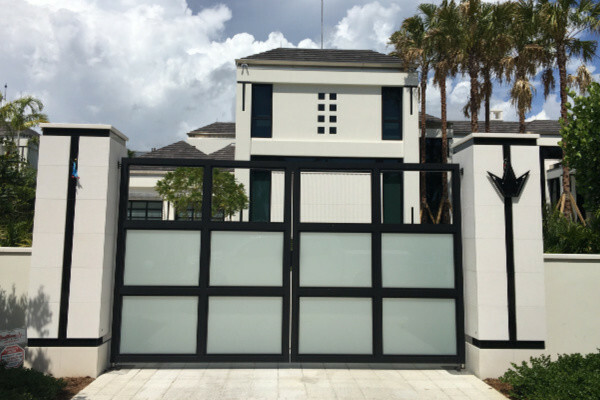 From government offices, FDOT and agricultural fencing to senior living facilities, dumpster gates and construction sites, Carter Fence Company will complete your project on time and on budget. Improve the security of your facility or property with custom commercial gates from Carter Fence Company. Our commercial security gates are fast, durable and easy to operate. No matter what type of property you are needing to secure, our experts can design and install a custom commercial gate that is perfect for your needs. Guardrails are an important part of many establishments from apartment complexes, condominiums and senior living facilities to stairwells, patios, balconies and much more. 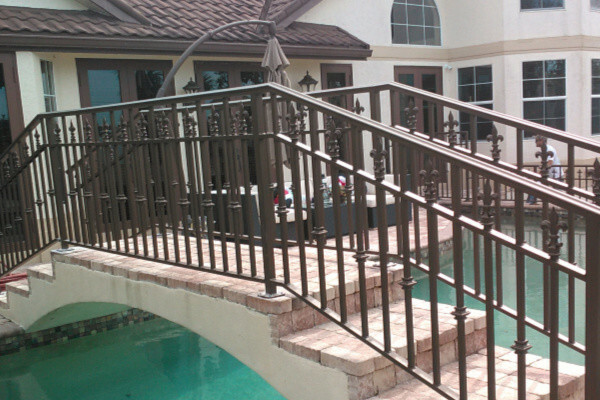 Keep your guests safe and protect them from slips and falls with custom railing and guardrails from Carter Fence Company. Searching for a way to add a unique touch to your restaurant or retail business? Contact Carter Fence Company and ask us about our custom awnings. Custom awnings can offer your business many benefits from boosting visual appeal and improving comfort to adding extra outdoor space and increasing the value to your property. Let your business be noticed and make a statement with your custom awnings. If you are looking for an easy solution to enhance the look of your facility while protecting your steel or concrete bollards, then bollard covers are what you need. Bollard covers fit directly over your bollards giving them a fresh new look without the need to worry about the mess or expense of painting. Bollard covers are fade resistant which makes maintenance easy while reducing the cost. Carter Fence Company fabricates all bollard covers in-house and can customize your bollards to fit any size, shape and circumference.